his equally explosive History of Madness. 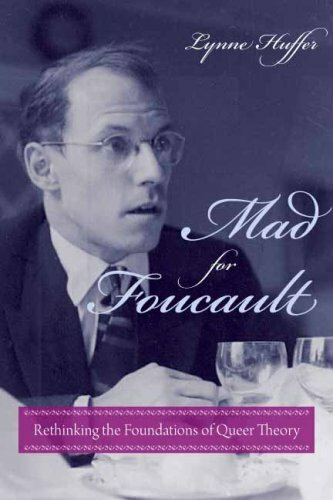 In this earlier text, Foucault casts Western rationalism as a project that both produces and represses sexual deviants, calling out the complicity of modern science and the exclusionary nature of family morality. Reintroducing these ideas into our understanding of Foucault, Huffer brings exciting new strands of his critique into focus. She then revisits Foucault's work on ethics in light of these discoveries, establishing an ethics of eros that sees sexuality is a lived experience we are repeatedly called on to remember. Throughout her analysis, Huffer works in her own personal experiences, along with Foucault's, sampling from unpublished interviews and other archival materials. In doing so, she intimately illustrates the problem of rethinking sexuality as a product of reason.